NUREMBERG, GERMANY--(Marketwired - February 23, 2016) - embedded world, Hall 4, Stand 325 -- Green Hills Software, the worldwide leader in high assurance operating systems, today announced the first demonstration of its industry-leading security technology for i.MX 7 applications processors from NXP Semiconductors, one of many compelling demonstrations at embedded world 2016 produced by the collaboration between NXP and Green Hills Software. Led by the security-certified INTEGRITY® real-time operating system (RTOS) and secure key management infrastructure, the Green Hills offering for NXP processors includes a pre-certified security and safety RTOS family with development tools and cryptographic toolkits that enable device manufacturers to create and deploy innovative secure products for point-of-sale, building automation, smart home, and patient monitoring systems. As system designers transform yesterday's embedded systems into today's smart and connected devices, they require a unified processor/software solution to assure security on untrusted networks, utilize low power deep sleep modes, and display richer human machine interfaces (HMI). Unlocking these hardware features requires powerful and multi-faceted software that can generate high-quality/high-performance code, manage secure keys to protect critical data and embedded IP, and deploy on a trusted runtime architecture spanning heterogeneous 32- and 64-bit processors based on ARM® Cortex®-A, -R and -M families. "The i.MX 7 applications processor is a highly integrated multi-market applications processor designed to enable security-smart operating systems like INTEGRITY to run securely in portable and connected environments," said Ron Martino, vice president of i.MX application processor product line at NXP Semiconductors. "We're pleased to see Green Hills continue its long history of support for i.MX applications processors with INTEGRITY." "INTEGRITY support for our System on Module (SOM) is an important extension to our ecosystem," said Roman Schnarwiler, CTO, Toradex. "Green Hills Software's security expertise is a perfect fit for i.MX 7 security features and makes an ideal solution for safety/security-critical projects in the industrial/embedded market. 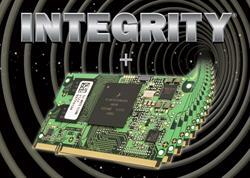 We are happy to have INTEGRITY RTOS as a launch partner for our new Colibri iMX7 SOM." Green Hills products, technology and services applicable to the i.MX 7 applications processors are the ideal development and deployment platform to uniquely meet the demands for performance, safety and security for the connected home, factory and heath care provider. 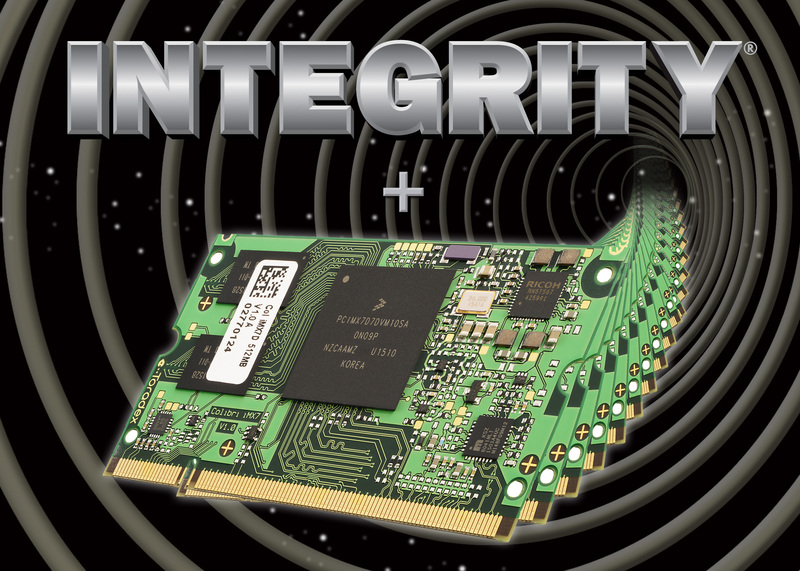 INTEGRITY RTOS, the most trusted separation architecture for safety and security applications, certified to the highest security level in the world (EAL 6+, High Robustness Common Criteria) and the highest levels of certified functional safety for automotive (ISO 26262), Industrial (IEC 61508), Railway (EN: 50128) and Medical (FDA Class II/III approval). INTEGRITY Multivisor™ secure virtualization technology safely runs security-critical tasks alongside guest consumer operating systems Windows, Linux and Android -- even on the same processor. µ-velOSity™ microkernel, the small, fast, easy-to-use operating system delivered in source-code -- ideal for low-power microcontrollers such as the Cortex-M4. Industry-leading and EEMBC® record-setting C/C++ compilers for ARM Cortex cores, and NEON extensions for accelerated multimedia and signal processing. MULTI® integrated development environment software tools for deep visibility into code behavior through its multicore debugger, TimeMachine™ trace debugging, run-time error detection, MISRA C checking and DoubleCheck™ static source code analysis. Secure Key Management Infrastructure enabling customers to inject and manage secure keys, authenticate IP, and assure hardware and software root-of-trust throughout a device's lifecycle. FIPS 140-2 Cryptographic Toolkit optimized for ARM Architecture. Green Hills Software's family of hardware probes for hardware bring-up, low-level debugging and trace-powered visibility. Embedded Advisors, a team of experts to help customers achieve their own customized balance of security and performance to match business requirements. The i.MX 7 applications processor family combines multiple Cortex-A7 and Cortex-M cores to bring exceptional performance at a fraction of the power of earlier i.MX processors. Security hardware features include elliptic curve cryptography technology, active tamper detection and secure boot. Deep suspend mode enables low standby power consumption. There are high bandwidth connections through a variety of interfaces such as PCIe and Dual Gigabit Ethernet with AVB support. In addition, there are four independently controlled and secured resource domains to help intelligent software partition and isolate security threats. The INTEGRITY RTOS and award-winning MULTI development environment will be demonstrated on the Toradex Colibri iMX7 board at the embedded world 2016 exhibition on the Green Hills stand 4-325. Green Hills, the Green Hills logo, MULTI, INTEGRITY, INTEGRITY Multivisor, TimeMachine and DoubleCheck are trademarks or registered trademarks of Green Hills Software in the U.S. and/or internationally. All other trademarks are the property of their respective owners. Using Toradex' Colibri iMX7 SOM as the first i.MX 7 platform to support INTEGRITY enables potential customers to directly use a robust, industrial hardware platform to start evaluation and development.